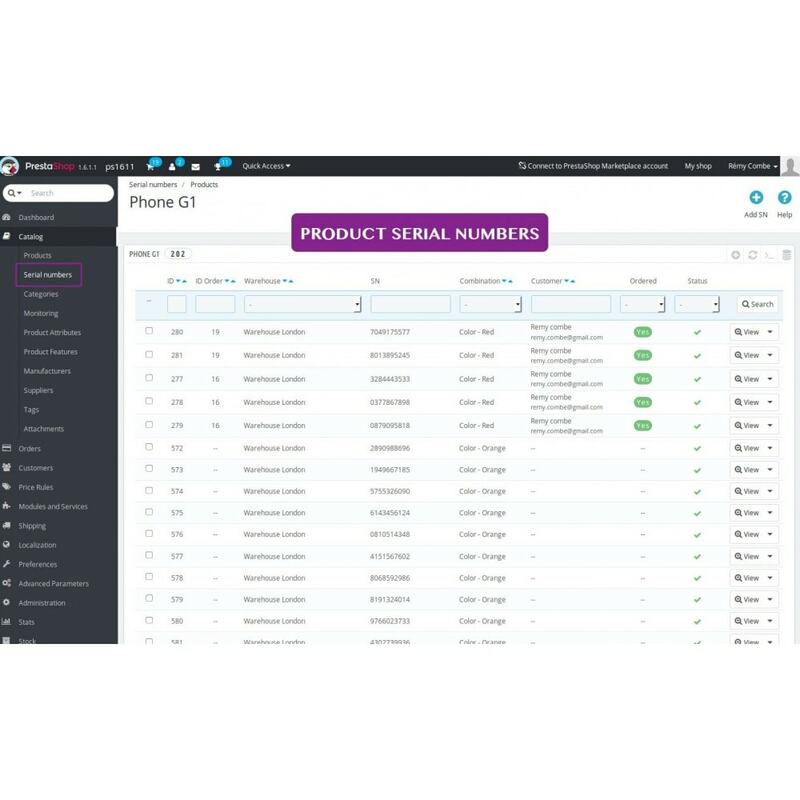 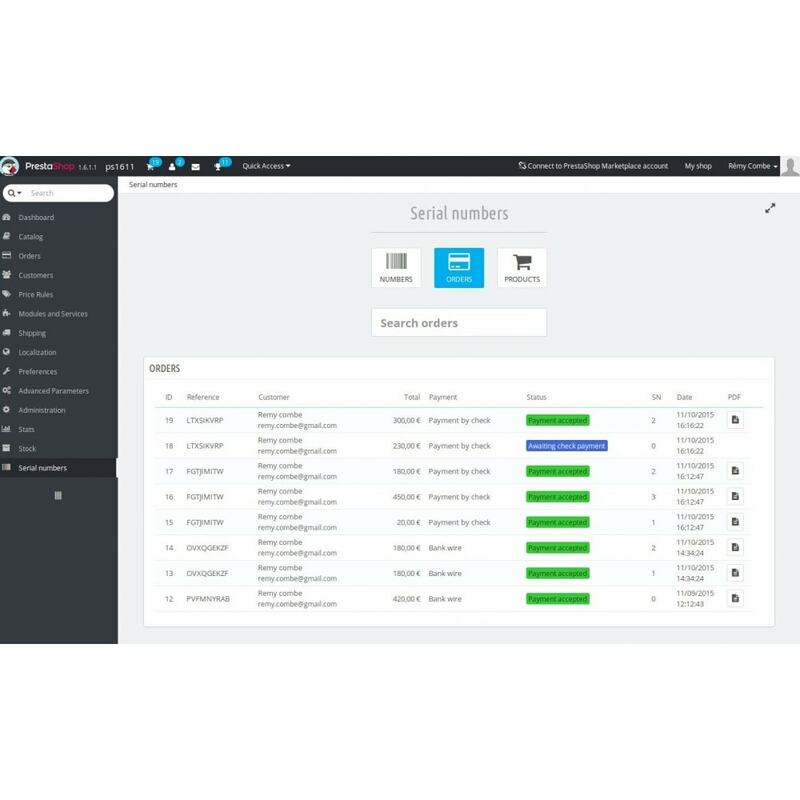 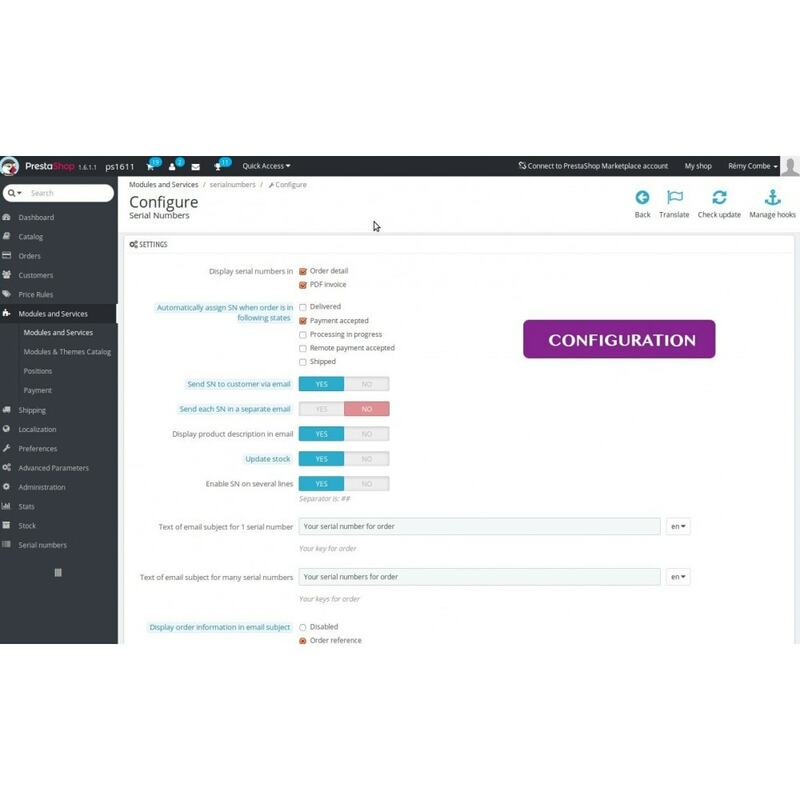 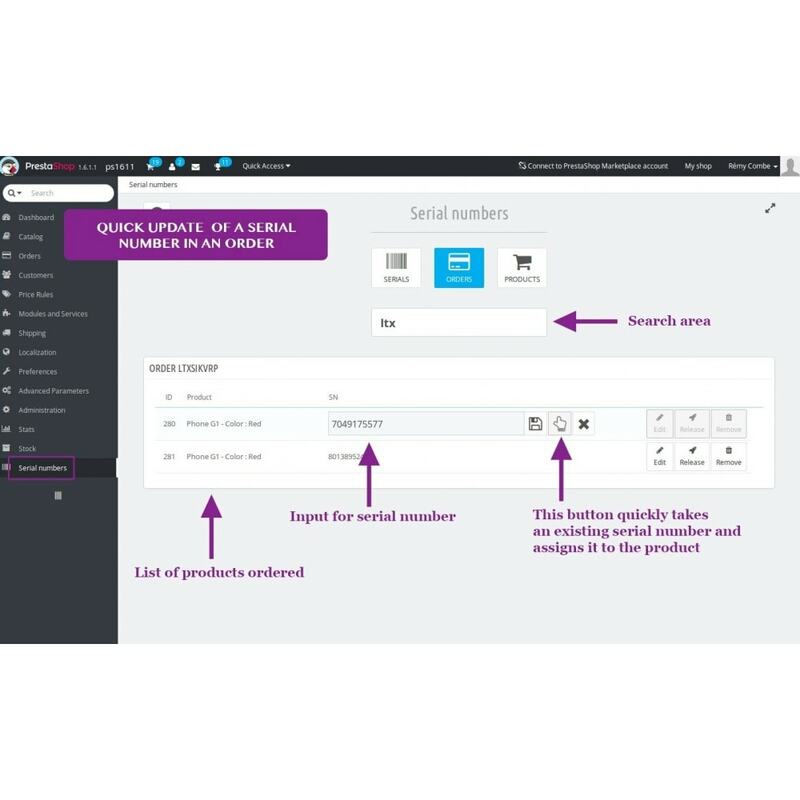 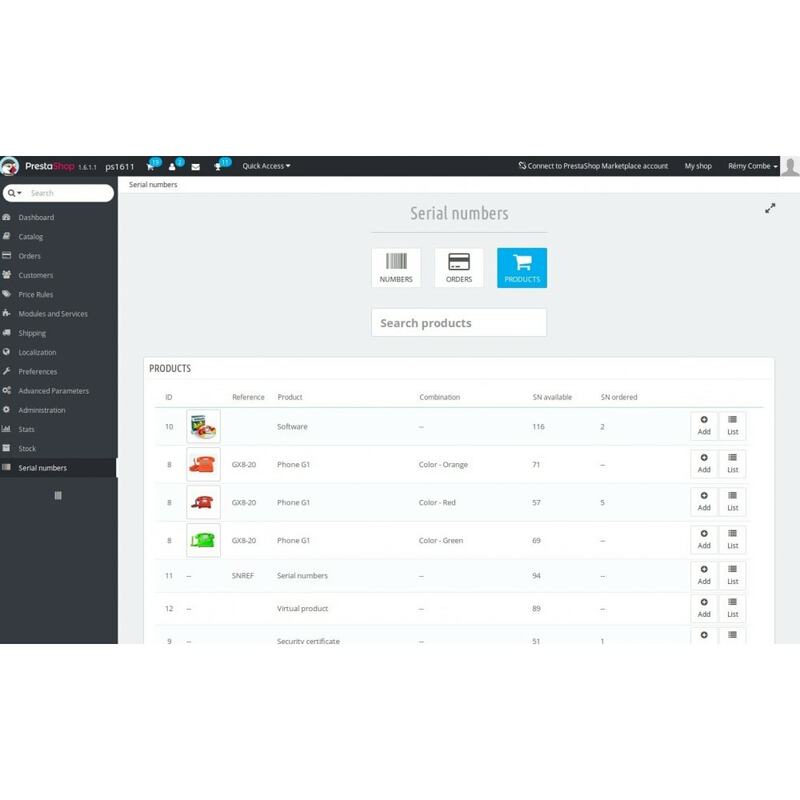 This key manager module is the best solution to manage serial numbers of PrestaShop products and track your products in your Back-Office. 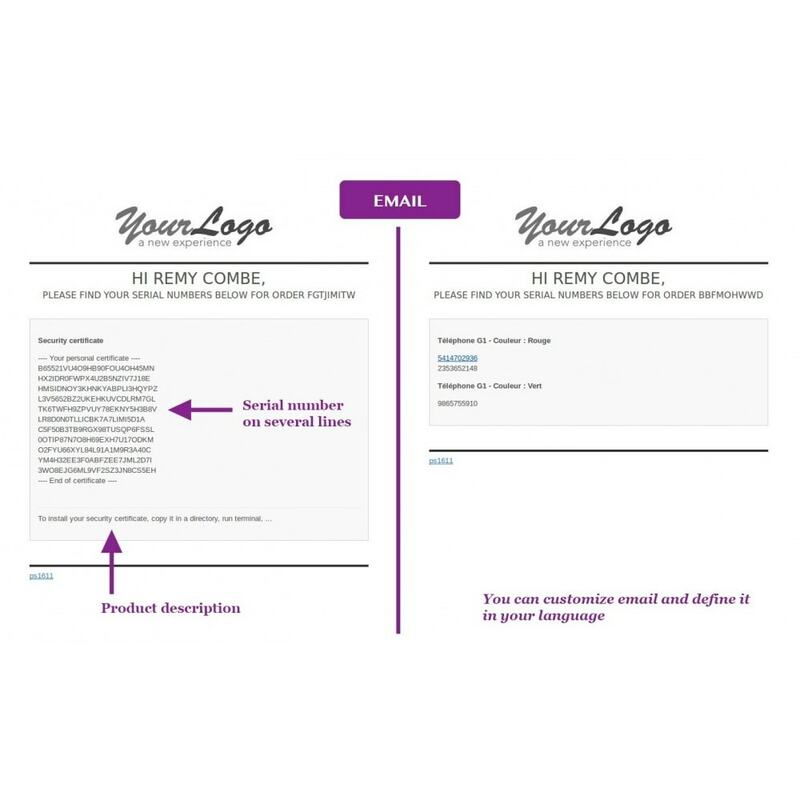 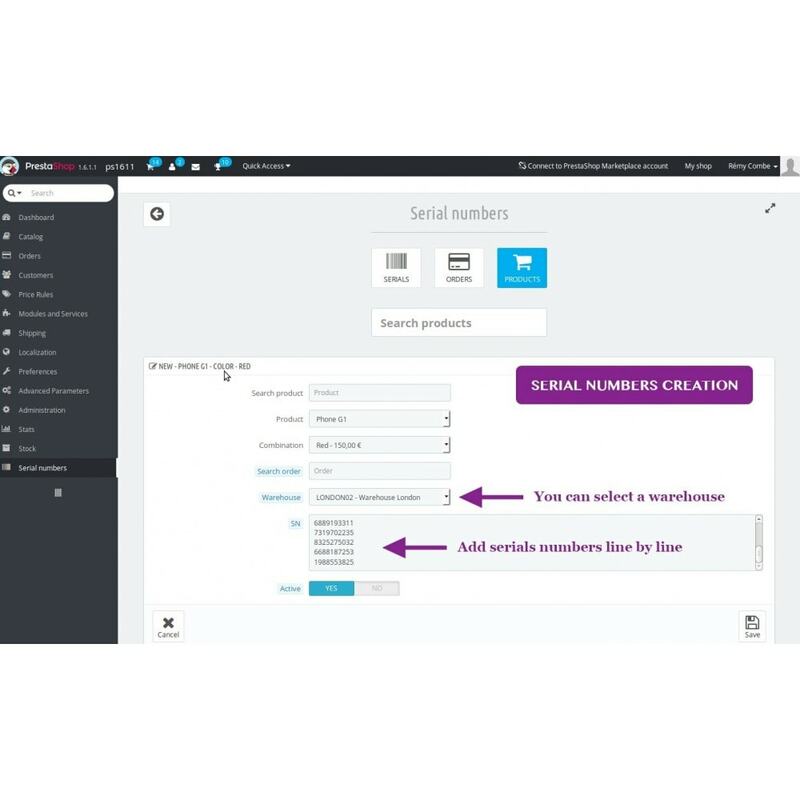 It adds serial numbers in order history and PDF invoice for your products sold on-line and in your local store. 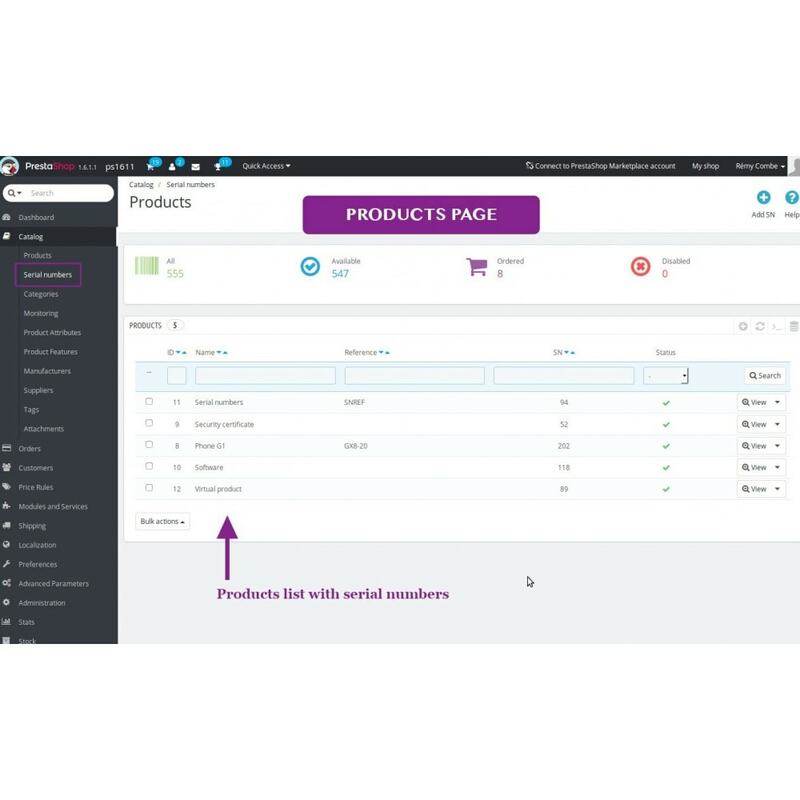 The Back-Office admin page is easy to use and similar to others admin pages of PrestaShop to give you the best quick start. 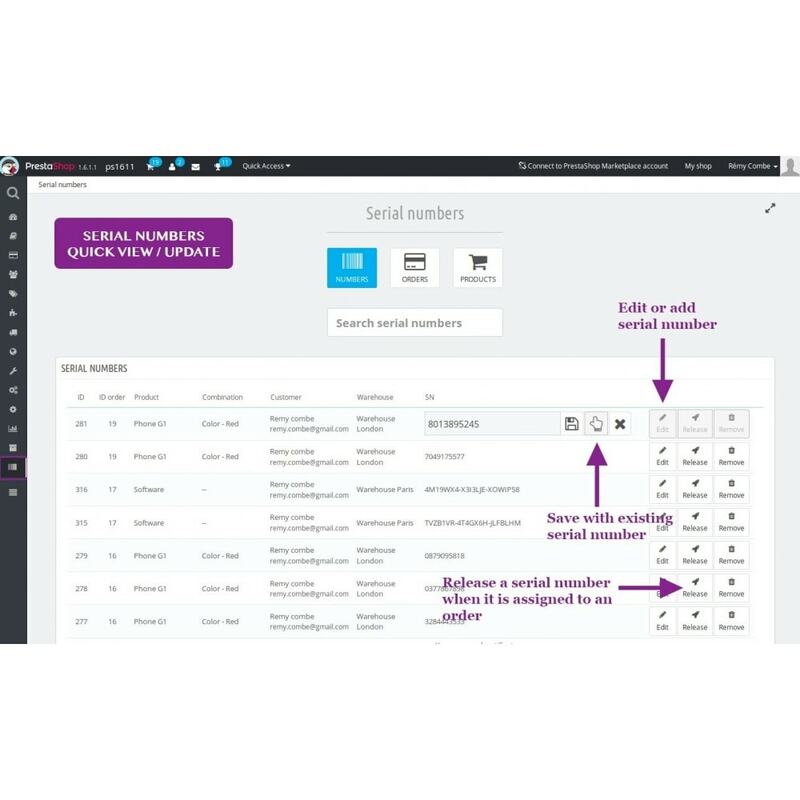 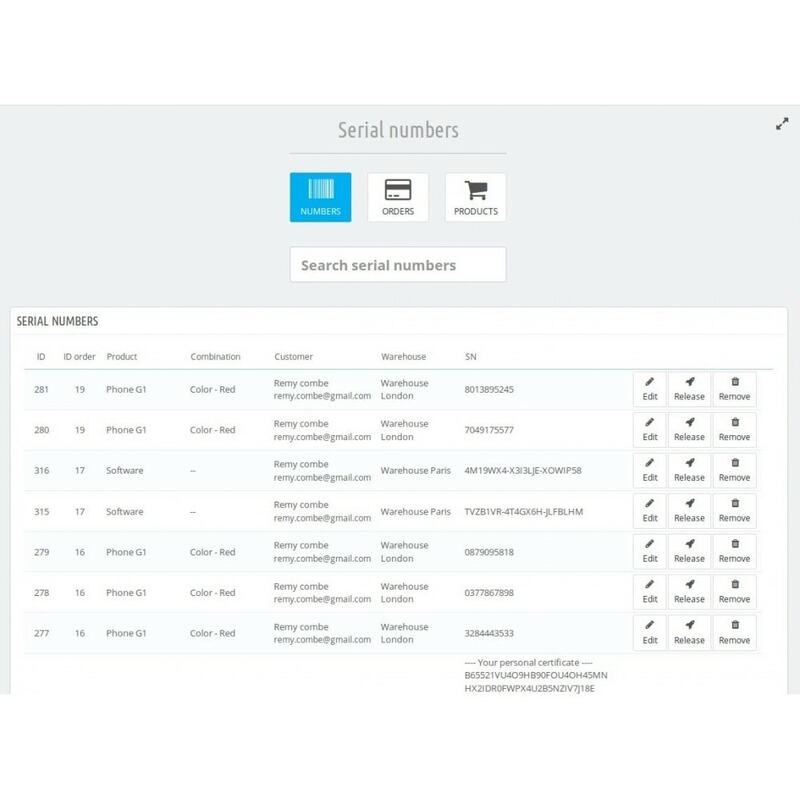 Moreover, a new interface gives you a quick way to view and update your serial numbers. 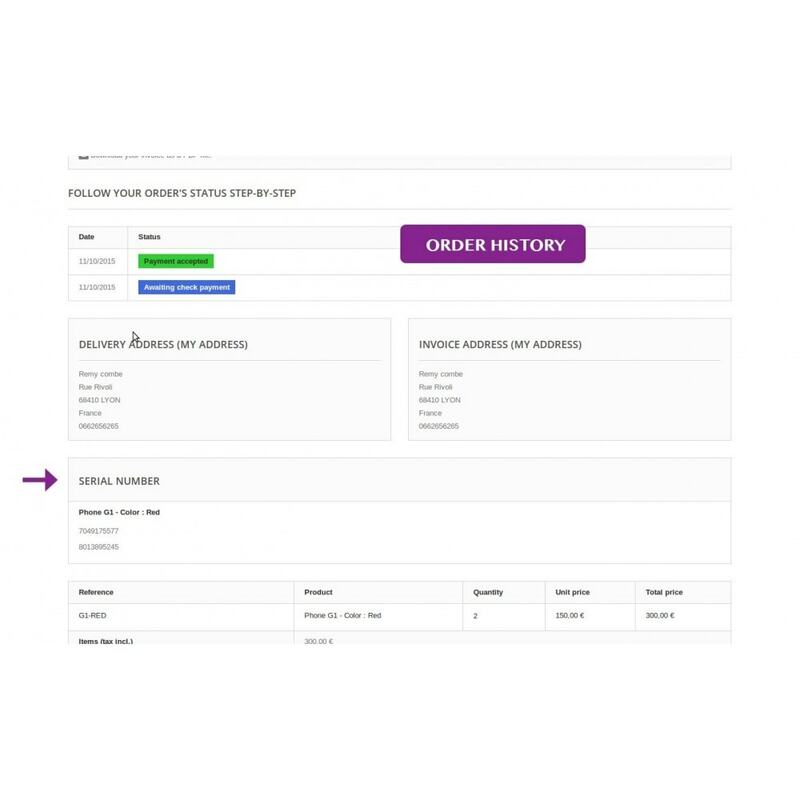 For you merchant, you can also easily view and update keys from the admin orders page. 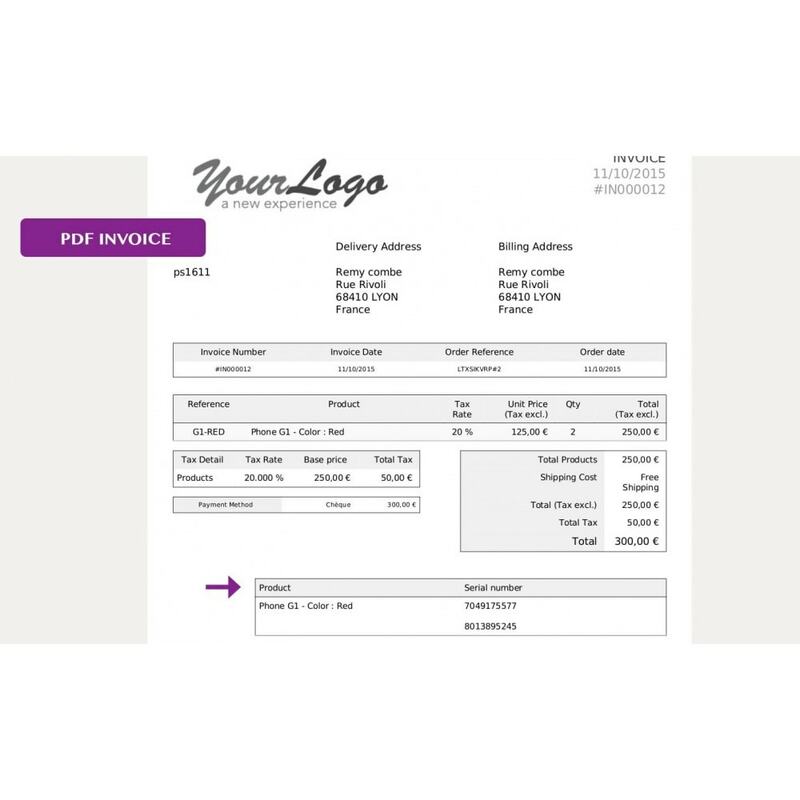 Customer has his serial number printed on his PDF invoice to facilitate after-sales service. 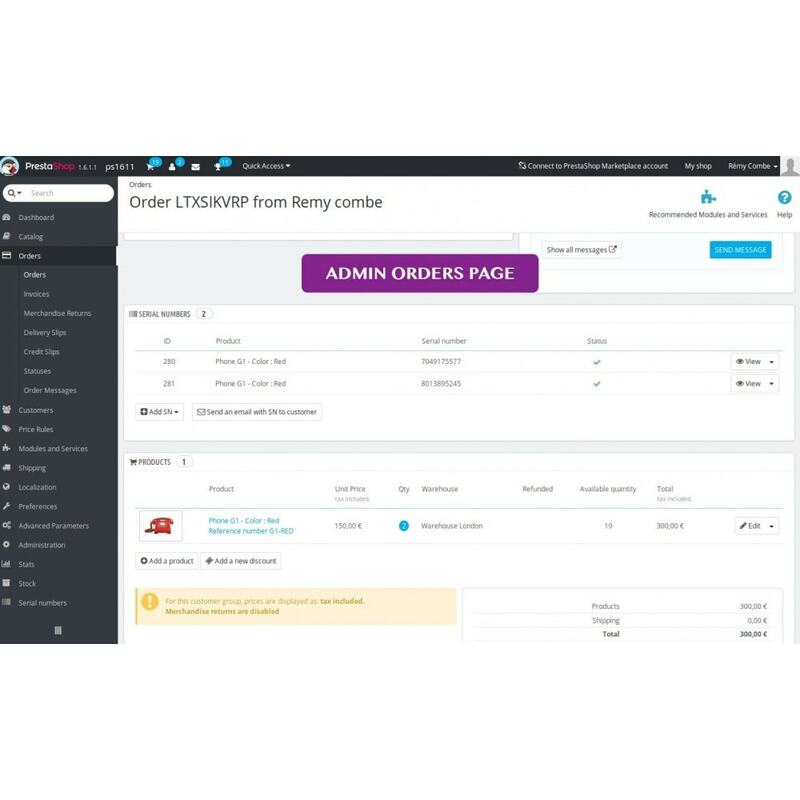 When payment done, customer can receive automatically his keys and see them from his customer account. 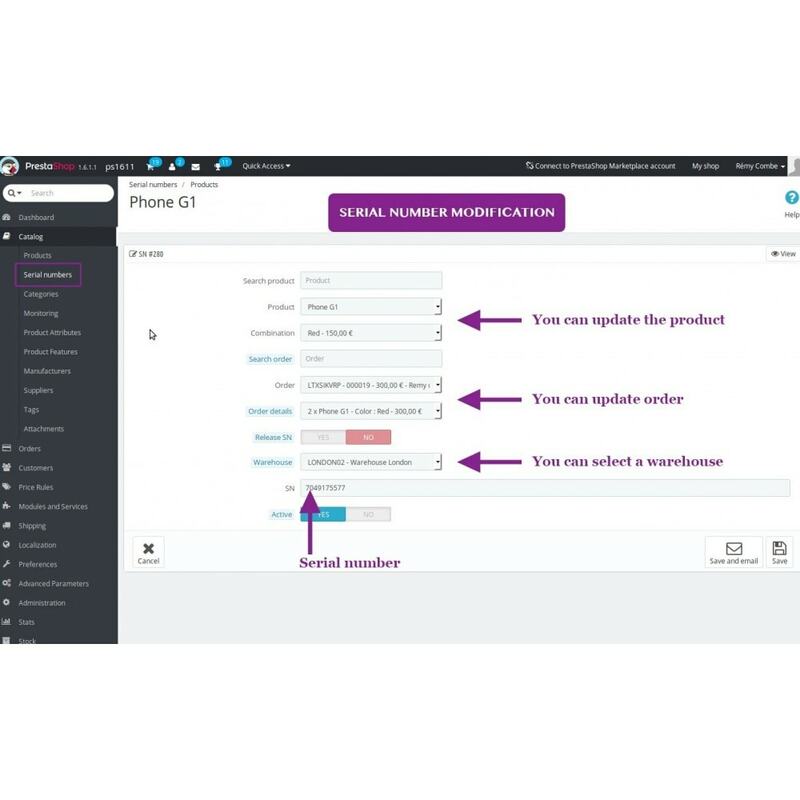 Update the encrypted key for a better security and then install the module directly from the Back-Office, that's all!